Photo courtesy of zrfphoto/Getty Images. Decisions to uproot their families and cross the continent to settle in the American West were largely made by men. The burden of civilizing the new territory fell mostly to women, who fulfilled the responsibility one tablecloth at a time. In preparation for a daunting journey and the vagaries of life afterward, women gathered the basics for what might pass as civilized living. They packed minimal kitchenware yet sufficient provisions to last for months—for starters, 200 pounds (90.7 kg) of flour, 150 pounds (68.0 kg) of bacon, and 20 pounds (9.1 kg) of sugar. Prudent women also packed pickles, which were known to thwart scurvy. The women knitted, crocheted, and sewed a year’s worth of clothes for each member of the family, including sunbonnets, aprons, and petticoats for themselves and their daughters. Handmade, too, were tents for shelter, sacks to hold provisions, and the canvas coverings for their wagons. In addition, they made pillowcases, sheets, featherbeds, tablecloths, curtains, and towels to furnish future abodes. Often with loving, bittersweet help from relatives and friends, the women pieced as many quilts as possible. Friendship quilts were pieced and signed, frequently in secret, as going-away gifts for beloved individuals who would soon vanish from their midst, never to be seen again. Anticipating the scarcity of mercantile establishments in the wilderness, women packed bolts of fabric, needles, and plenty of thread. 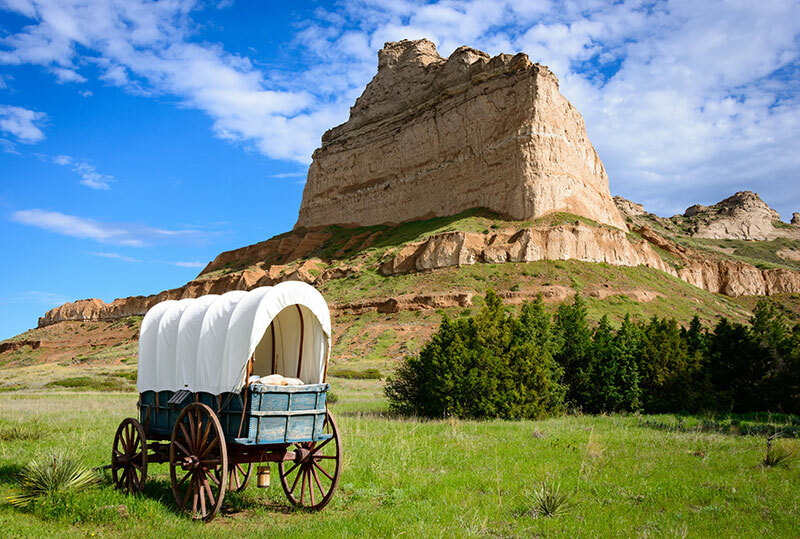 Provisions and property loaded into the wagon before leaving the East did not necessarily reach trail’s end. All too often possessions had to be jettisoned one by one to lighten the load for the exhausted, footsore animals pulling the wagons. Sometimes, those animals died from exhaustion, starvation, or injury. 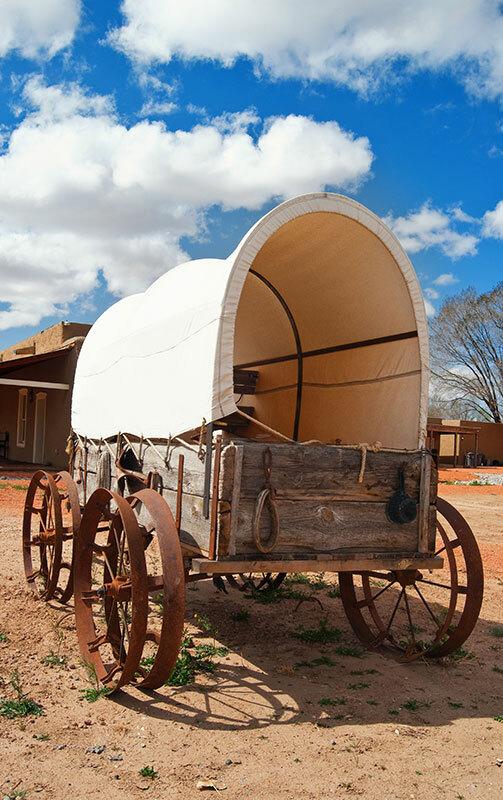 When they did, the wagon was abandoned after select necessities were reloaded onto a horse or mule or packed into haversacks shouldered by the pioneers, who forged ahead on foot. Photo courtesy of ivanastar/Getty Images. Read Mary’s complete article in the July/August 2016 issue of PieceWork. It isn’t surprising to learn that the word “pioneer” comes from the Old French word for “foot soldier” (peonier). Numerous letters and diaries penned by “The Great Emigration” participants survived. 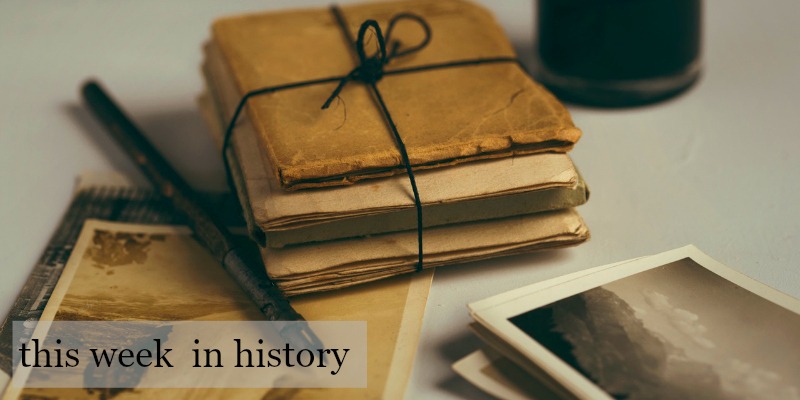 To learn more, we recommend the following books: Covered Wagon Women: Diaries and Letters from the Western Trails, 1840–1849 by Kenneth L. Holmes and Lillian Schlissel’s Women’s Diaries of the Westward Journey. Learn more about history makers and needleworkers in PieceWork!